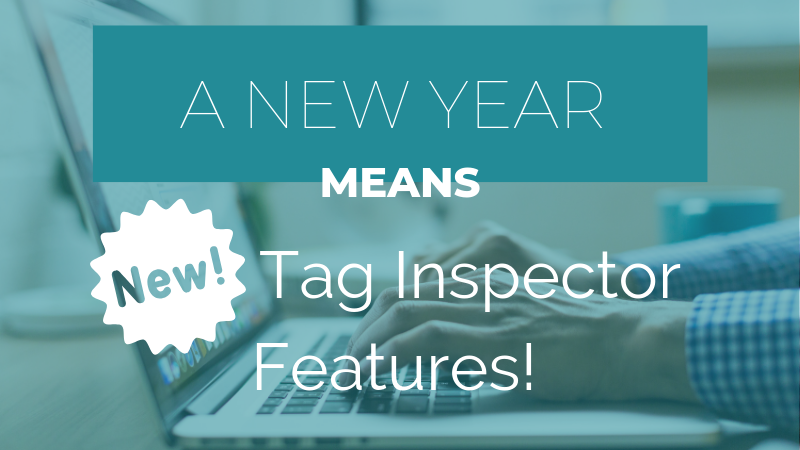 Tag Inspector is an amazingly powerful tool that is highly configurable, allowing you to validate a variety of tags across many platforms. 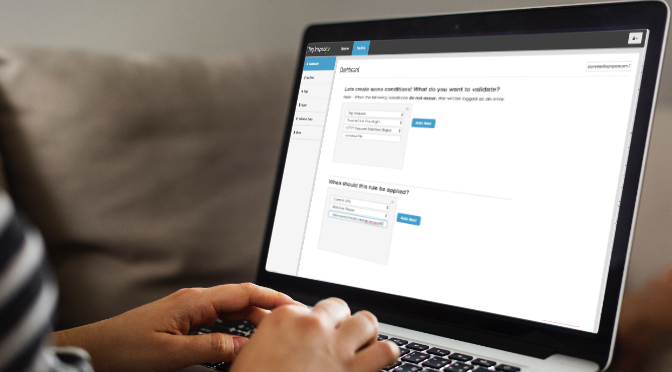 One way you can take advantage of this flexible platform is by using our regex-matching feature within our validation rules. Regex is an abbreviation for regular expression, which is a sequence of characters that may be used in a search process for a certain pattern. 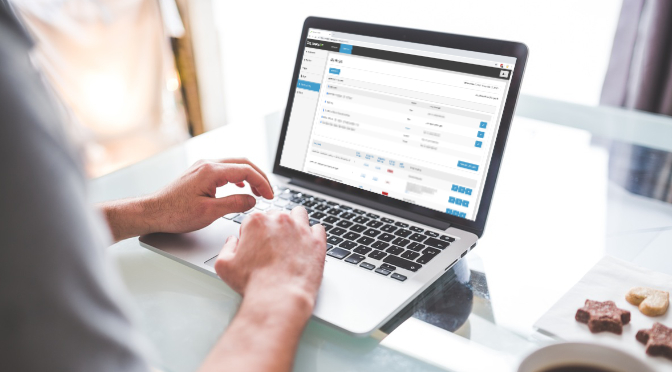 Using a regex can allow greater ease and flexibility when searching for something. 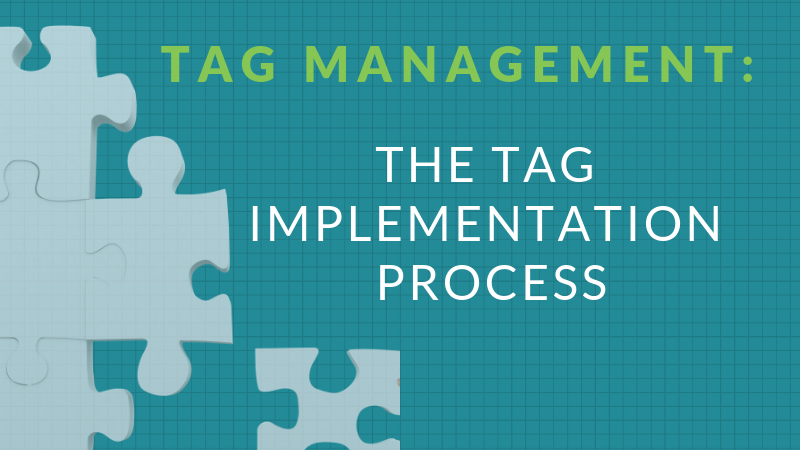 This post will review how to use regex within Tag Inspector. 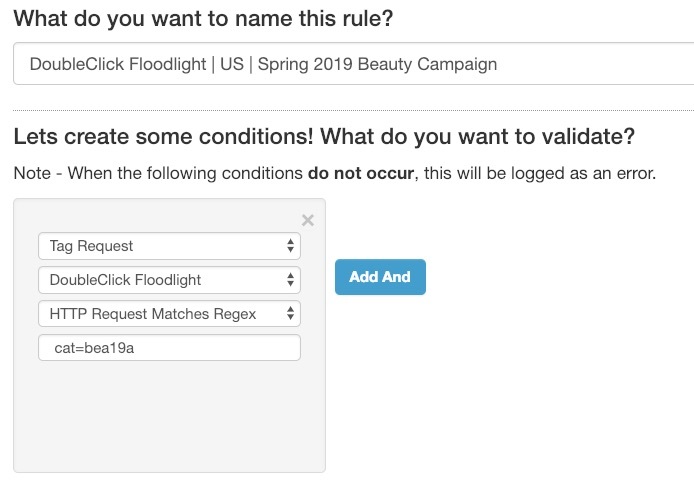 Let’s say I have some Floodlights set up on my site and I want to verify that the correct group tag string was used for my marketing campaign across certain categories of pages. Let’s take it step by step, to see how I came up with this. If you’re interested in checking that the activity string was sent property in the HTTP request, you’ll want to check the “cat” parameter, as identified in Google documentation. So, off the bat, I know that I want to include cat= something in my regex. We also know that the activity string I’m interested in tracking is bea19a, so what I’m looking for is actually cat=bea19a. 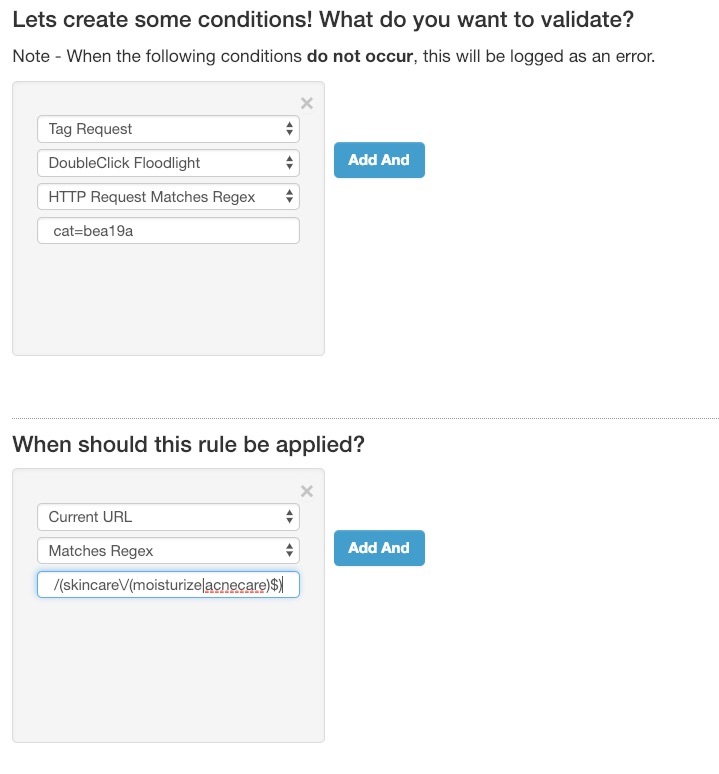 Having this will search for this text match exactly within the HTTP request. Easy, right? Let’s go on to the second part of our example, in which we specify the criteria for when our rule should be applied. I can craft a regex to match and validate on these exact category pages. Let’s do it. Let’s start by specifying the top-level categories for our regex - makeup and skincare. As you can see above, we’re matching more pages than we’d like right now, because we’re matching product pages and we’re also matching other subcategories like Lip Liner and Anti-aging. We need to make our regex more specific so that it only targets the categories in our marketing campaign. In order to get more specific, I’ve added the following subcategories - eyeshadow (under Makeup) and moisturize (under Skincare). I’ve also put parentheses around my two examples so that my OR operator works properly. It will look for /makeup/eyeshadow OR /skincare/moisturize. 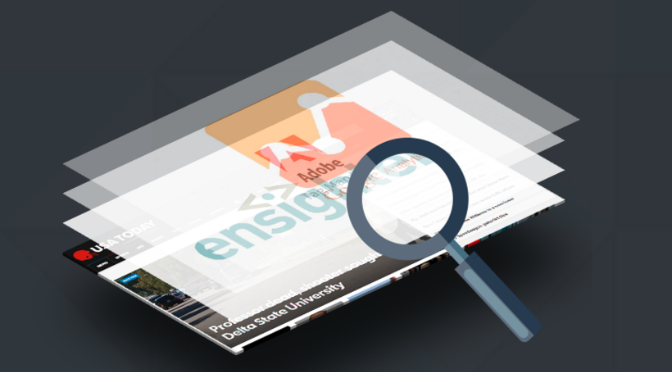 How do we specify our regex so that we only match category pages and not product pages? We will use a character, $, that says to only look for this exact end of the pattern. 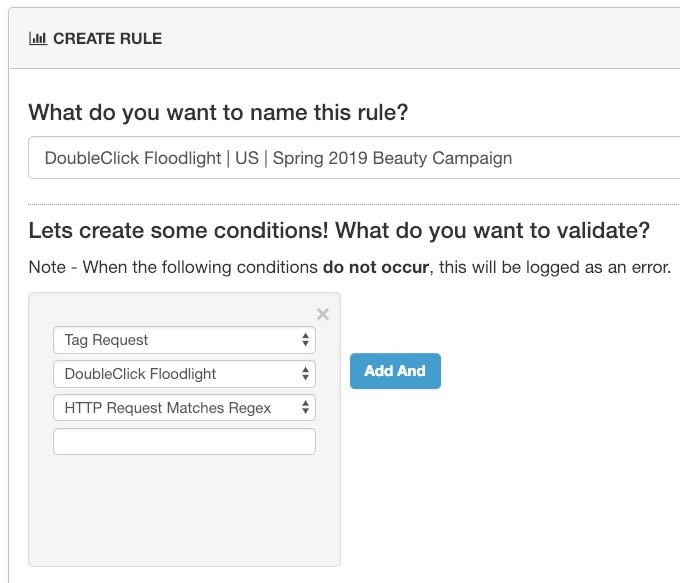 So we’ll go ahead and add this regex to our validation rule and it will look for that activity string on the category pages that we’ve set up for our marketing campaign. 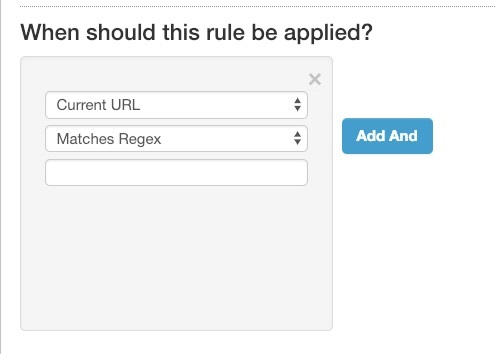 If you want to test your regex a bit more easily before entering it into Tag Inspector, you can test it out at regexr.com.